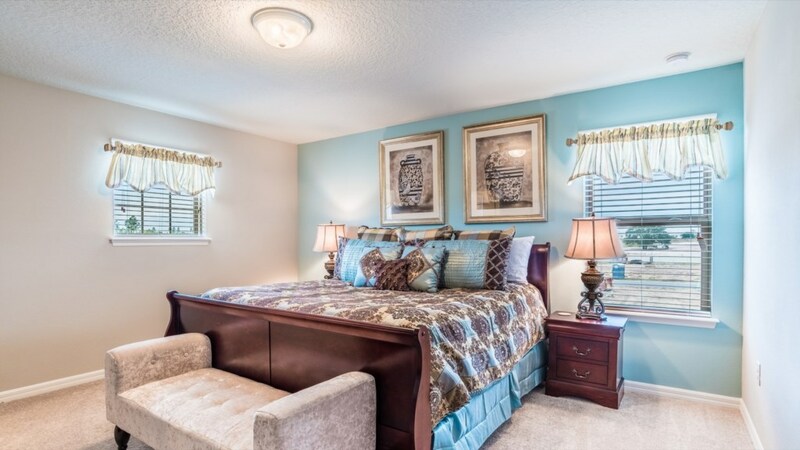 Welcome to Fab Five Villa in Windsor at Westside! 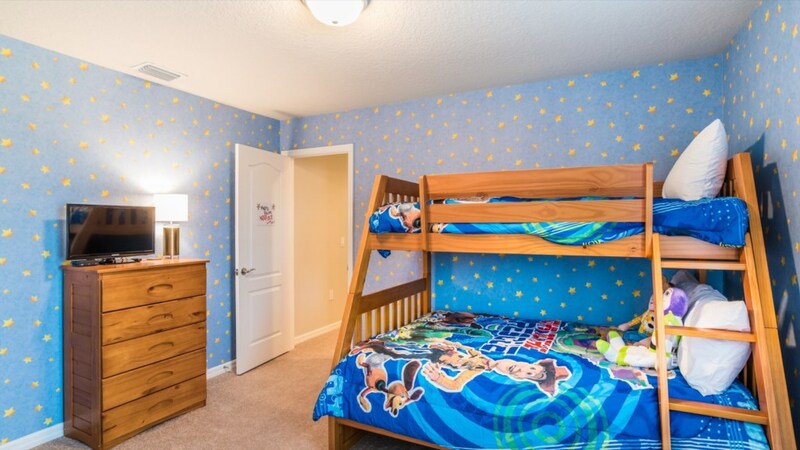 This 6 bedroom, 4.5 bathroom vacation home has an impressive (3,117 sq. 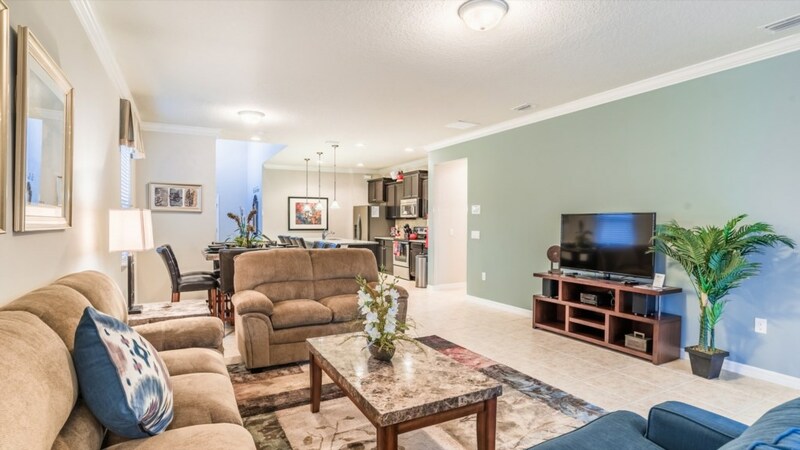 ft.) open floor plan and is beautifully decorated throughout. 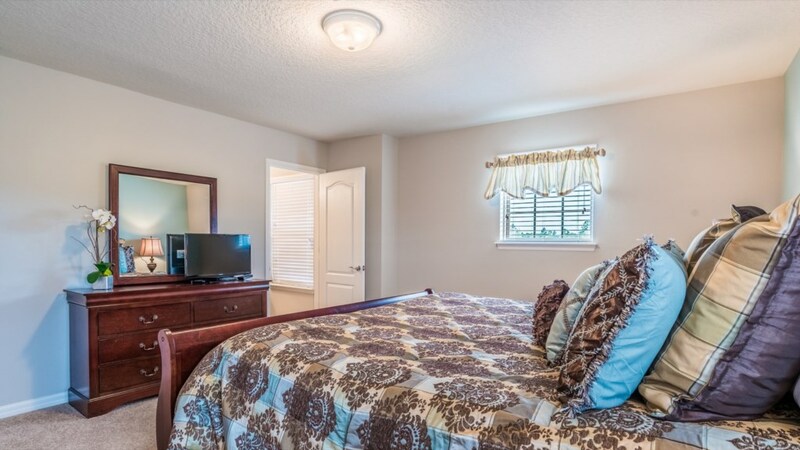 This rental home has attained the prestigious "Grand" status for having an upgraded professional furniture package and electronics throughout the home. 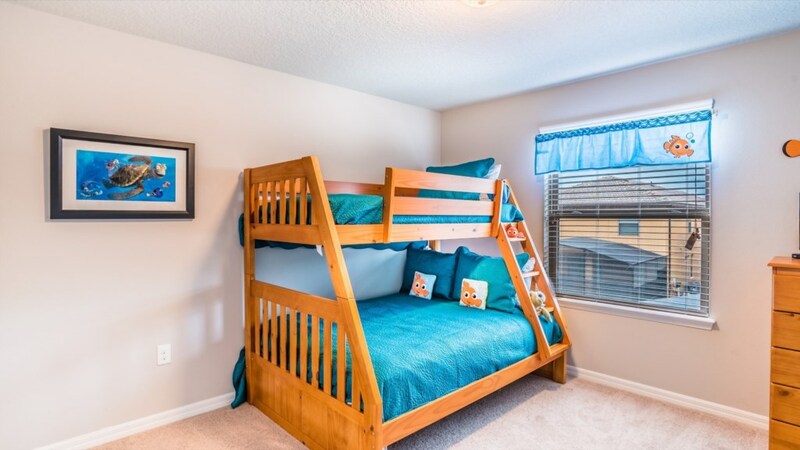 The 6 bedrooms sleep up to 14 and allow everyone to have plenty of space and privacy. 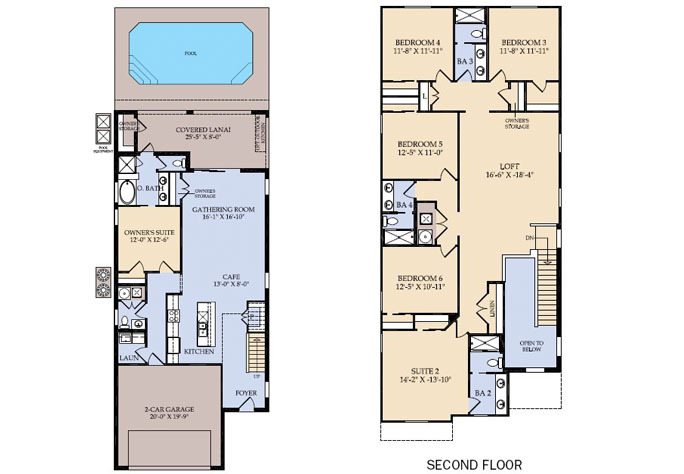 The bedroom configuration consist of 2 complete king master suites, 1 queen bedroom, 1 twin bedroom, and 2 bunk-bedrooms (both have a twin over full). 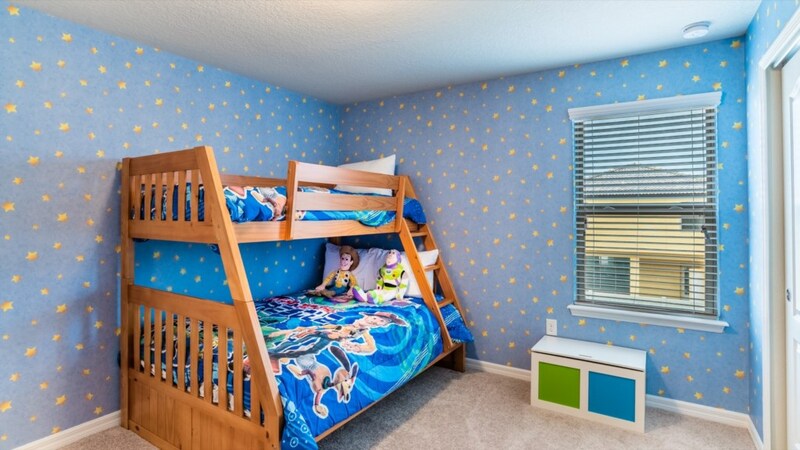 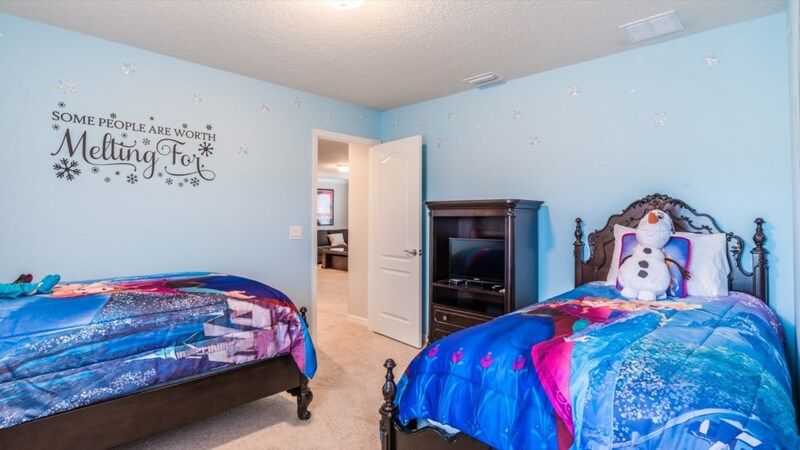 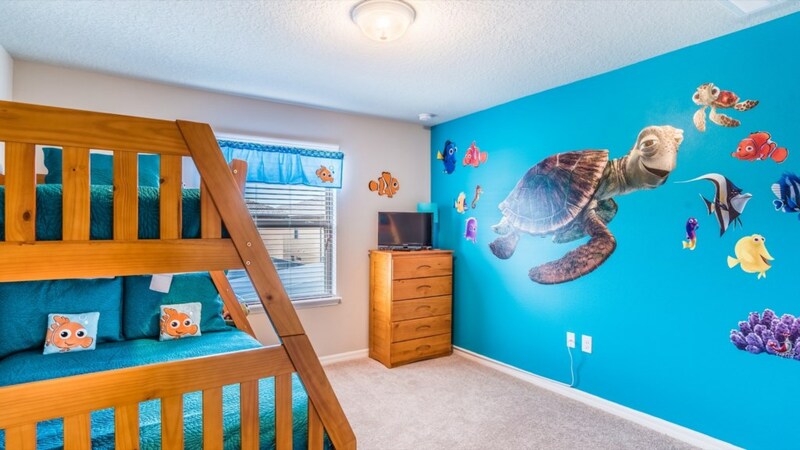 There are even 3 themed rooms – a Toy Story bedroom, a Finding Nemo bedroom, and a Frozen bedroom. 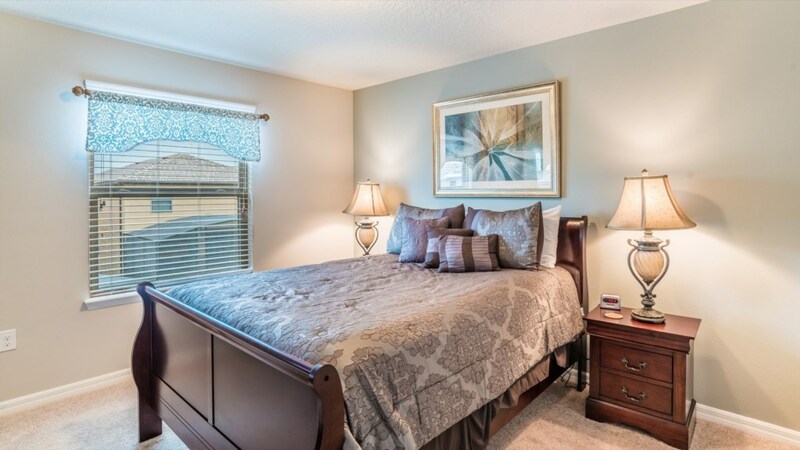 With 2 complete master suites, the home is ideal to share with friends and family! 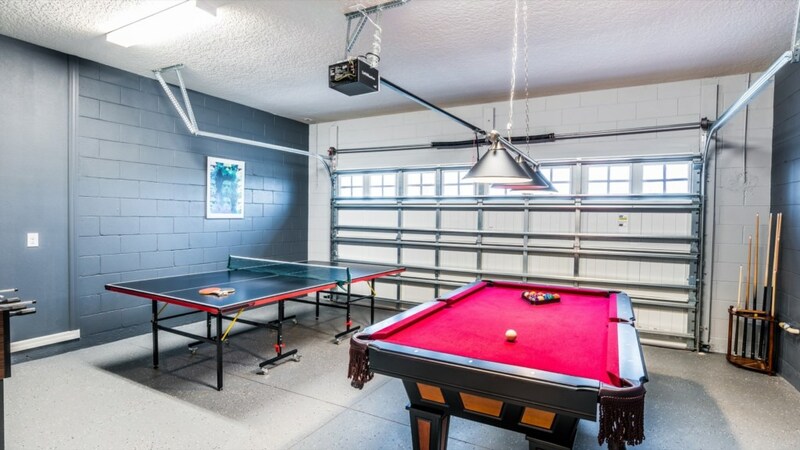 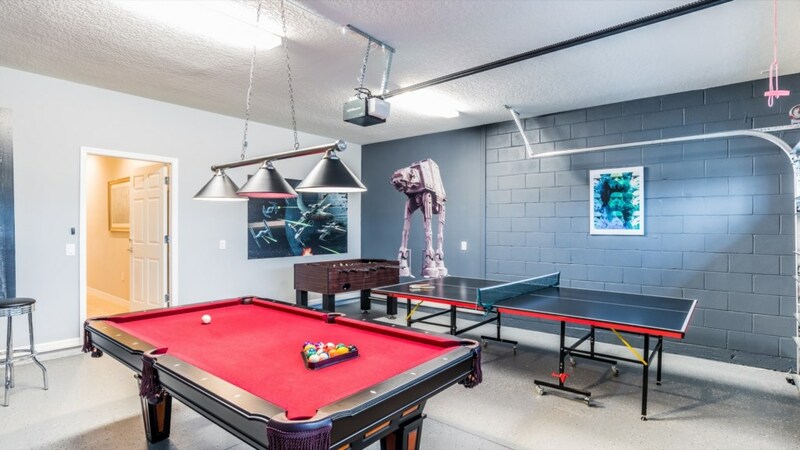 The Star Wars themed game room features billiards, Foosball, and pin pong table. 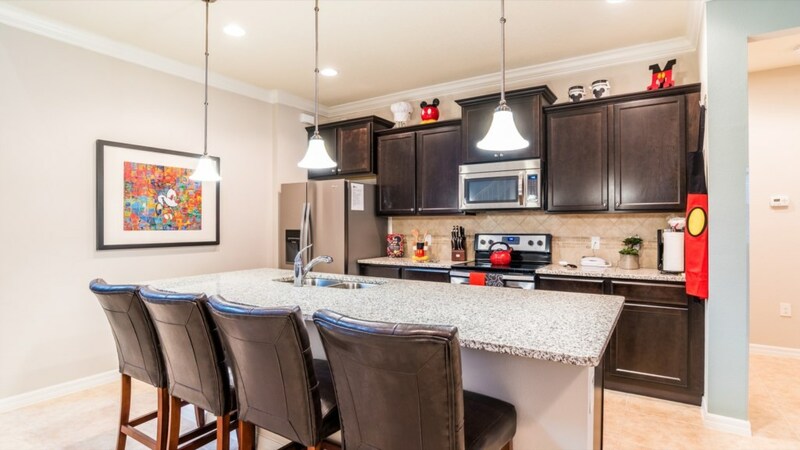 Prepare meals in the fully furnished kitchen that has several upgrades, including marble counter tops and stainless steel appliances. 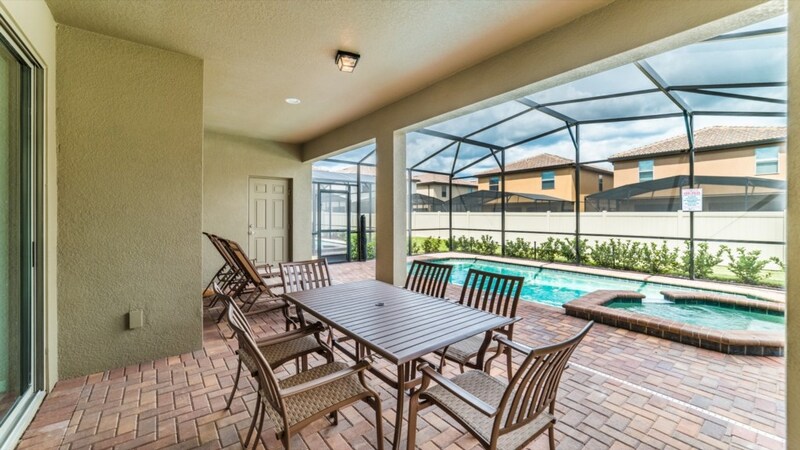 The private pool and spa will provide hours of fun in the Orlando sun. 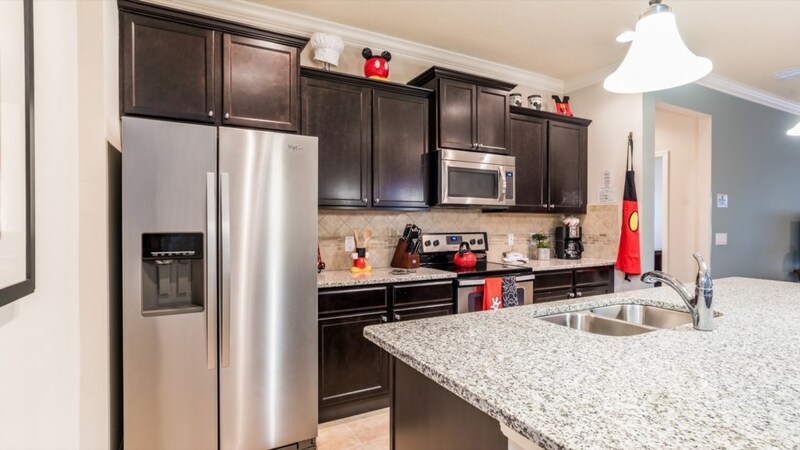 A washer and dryer are included, as well as a baby high chair and pack-and-play. 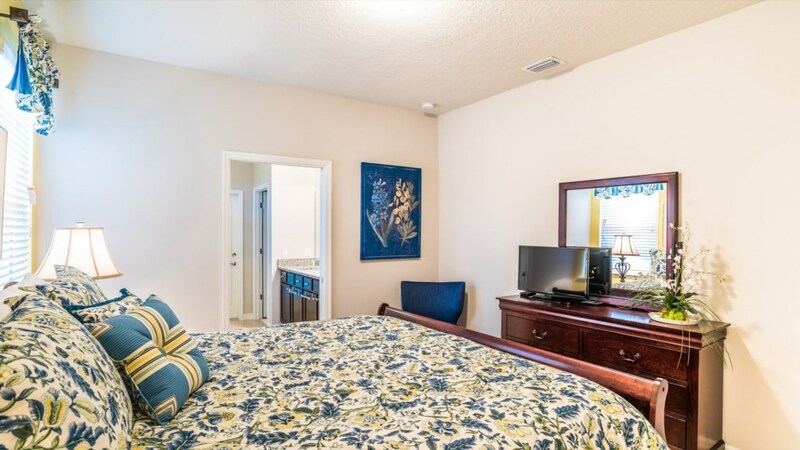 Free hi-speed WIFI and “smart TV’s” are provided throughout the house, including a 55” Ultra HDTV with surround sound system, Blue Ray player, and Xbox One gaming system in the loft family room, a 50” HDTV and Bluetooth CD/MP3 player stereo system in the living room, 28” TVs in both master suites and 24” TV in the four other bedrooms. 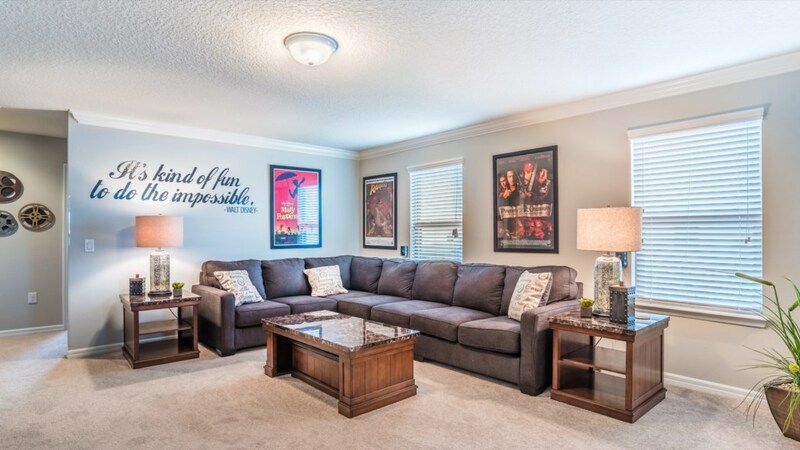 All TVs are equipped with digital cable and internet access to streaming internet services, such as Netflix. 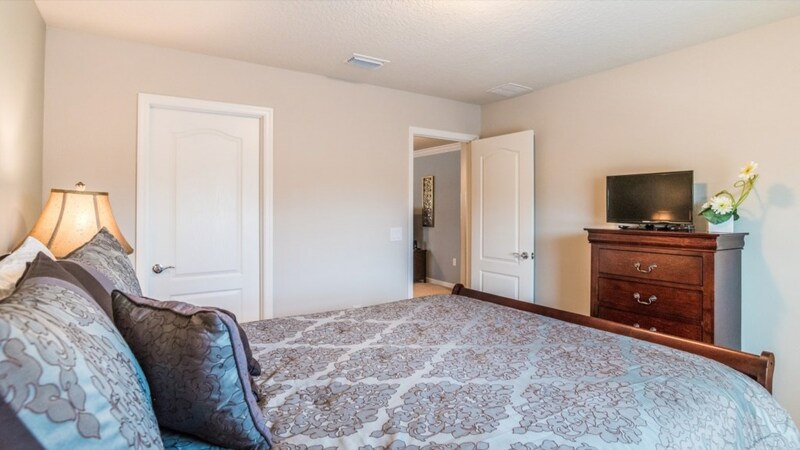 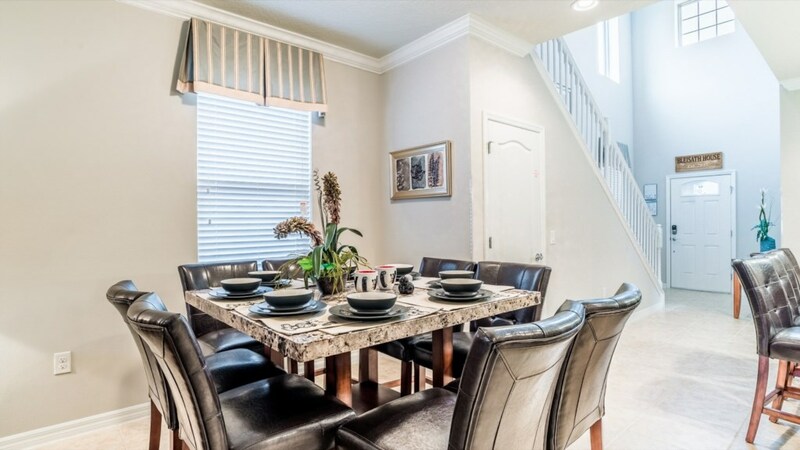 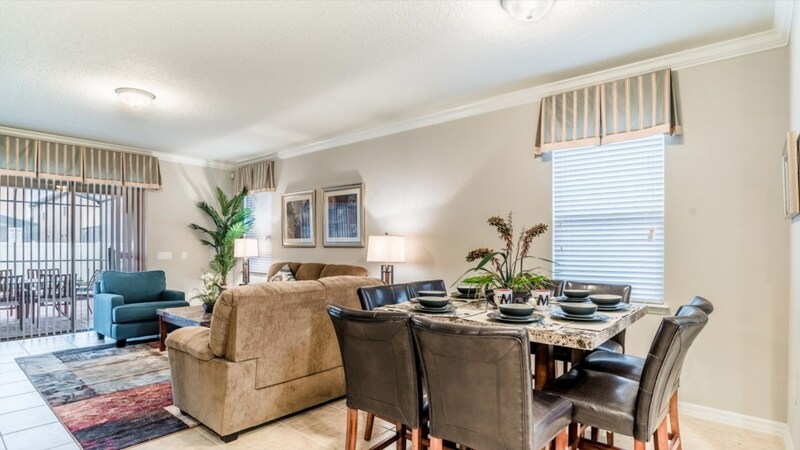 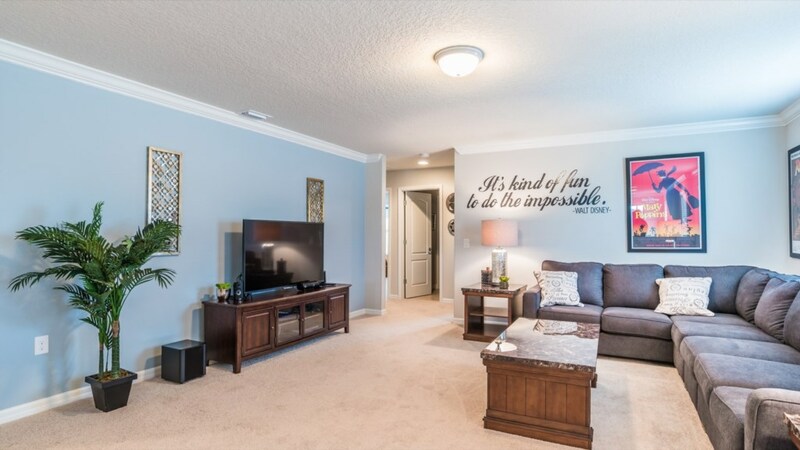 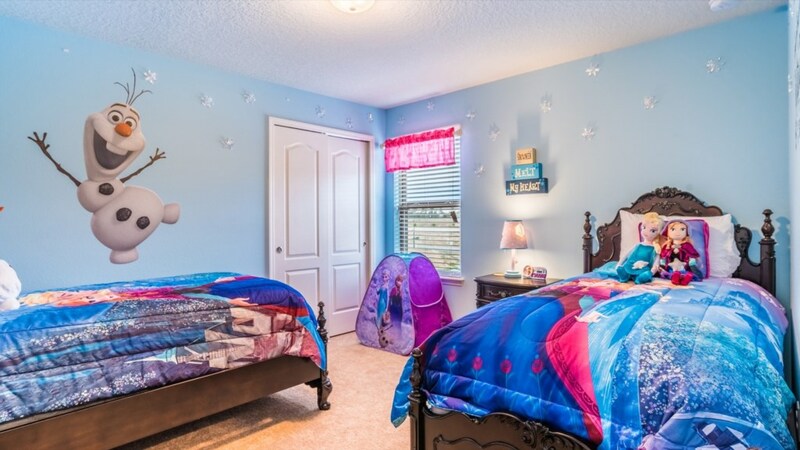 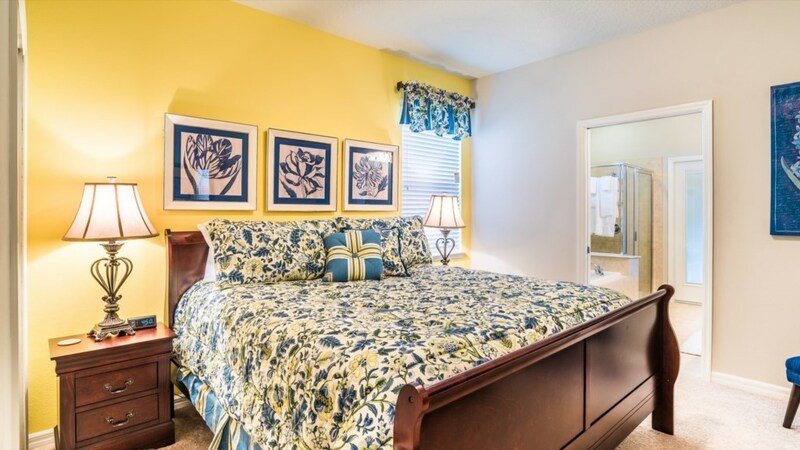 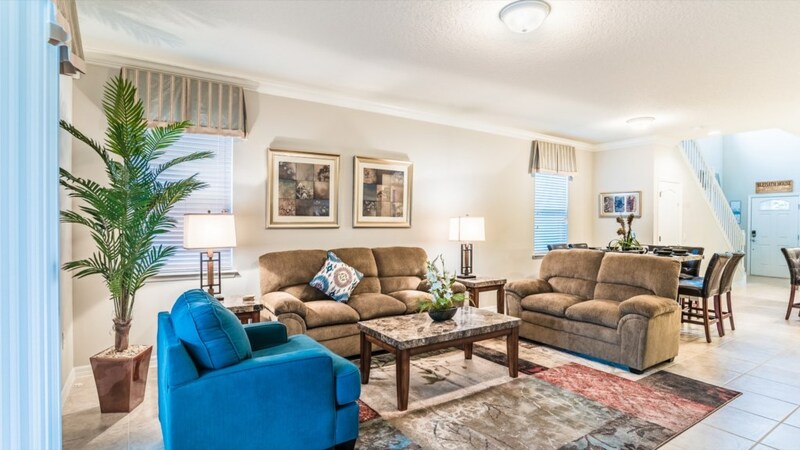 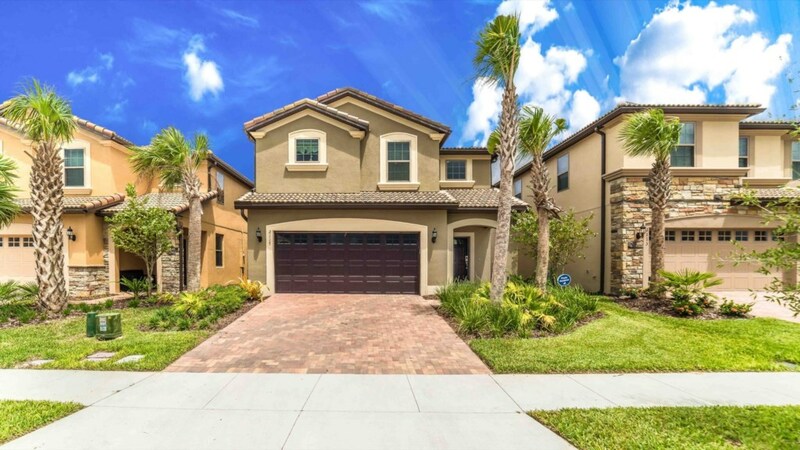 Fab Five Villa provides all of the comforts of home, with all the amenities of a resort, in a location within minutes of Disney and the other Orlando theme parks!